Sometimes the things we miss most on the Paleo diet are condiments. 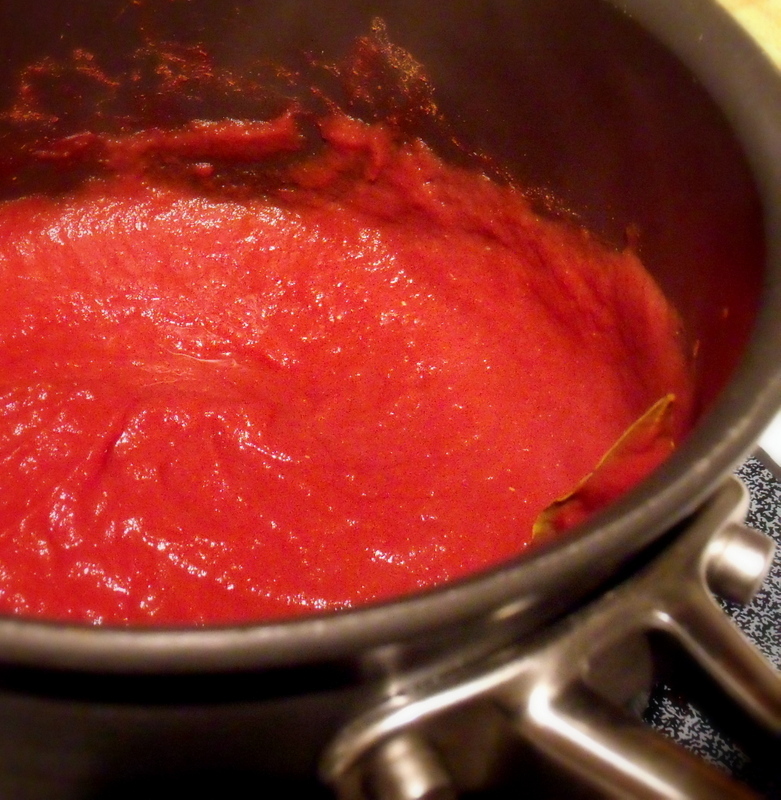 Well if you are missing ketchup, this easy Paleo ketchup recipe will fill that craving. It is better than store-bought any day! I haven’t really had ketchup since July of last year (when I started eating Paleo-style). I have been pretty appalled by the ridiculous list of ingredients (not to mention sugar content!) of the brands I used to consume, so I dumped the container(s) that were in my fridge, and never bought more. But I have definitely missed ketchup! I love to slather it on a big, grass-fed beef burger… there is nothing quite like it! 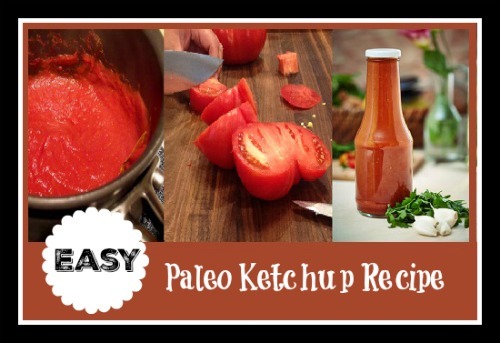 I was pretty thrilled to see that Paleo Comfort Foods, my all-time favorite Paleo cookbook, has a fantastic recipe for homemade ketchup. It is easy to make, and it has a deliciously sweet after-taste, with no hint of chemicals (as you will probably find in typical store-bought ketchups). The only problem? We consumed most of the batch right after making it. The next time I made ketchup, I made LOTS of extra and used the recipe below that I made up myself by modifying a recipe that sounded good. Turns out that it tasted AMAZING and froze well too. 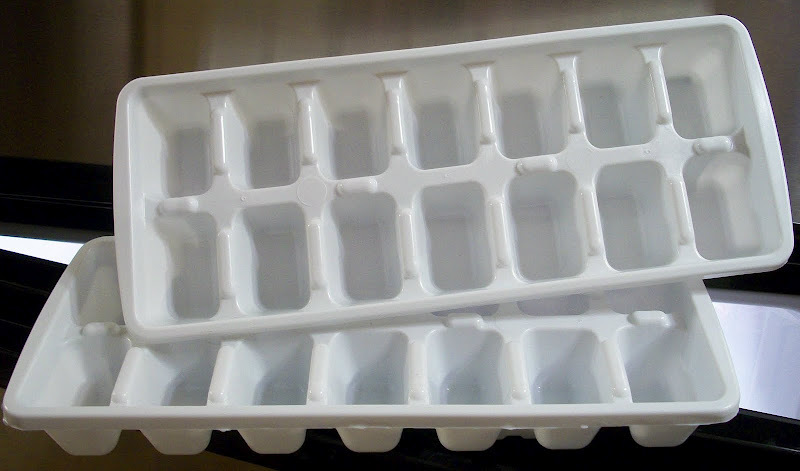 I portioned the batches into ice cube trays and froze them for later use. These sizes are be perfect to defrost and slather all over anything! Love it! I put all of the ingredients in my Vitamix blender to mix well. Then I placed it into the refrigerator overnight to make sure that the flavors married perfectly. We ate it the next day on burgers and I froze the rest for later.